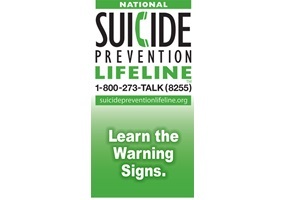 Home > Opinions > Health > Should there be a fee to seek suicidal help? Should there be a fee to seek suicidal help? Do you think that people have control over most of their determinants of their health? Do you think there is a reason people suffer more from allergic reactions today? Should "sin taxes" on tobacco and liquor be increased to pay for the rising costs of medical care? Should Marijuana Be Reclassified As a Drug Generally Available by Prescription (Schedule II or III)? Should the government provide free healthcare? Would you consider attraction to 18-year-olds teleiophilia considering how 18 is the adulting age? Should plastic surgery be outlawed? Are beliefs in government mind control founded in scientific fact? Should we shame fat people? Stevie Wonder is blind because they gave him too much oxygen as a baby. Has healthcare improved as much for minorities as it has for whites?